The Association of Manipuri Diaspora (AMAND), Pune which is a fast growing registered non-profit, non-government community organization formed by the Manipuri professionals working in /retired from the Central Government or Maharashtra Government or other reputed Institutions based in and around Pune has been executing a fairly good number of mission mode as well as event based projects based programs on cultural activities, educational programs, social outreach programs, community welfare programs etc each year successfully. 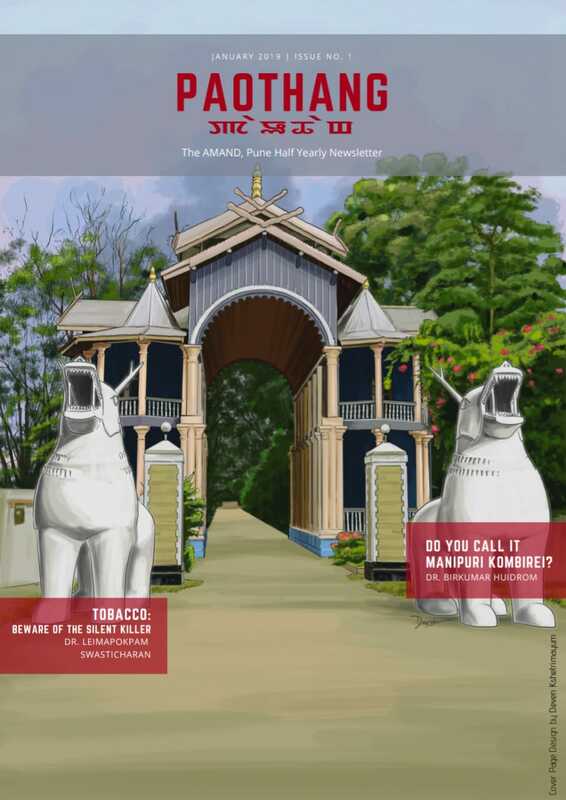 Association of Manipuri Diaspora (AMAND) Pune is proud to have another feather in the cap by releasing its first ever Newsletter, PAOTHANG on 31st March, 2019 at the hands of Dr. H. Narendra Singh, President, AMAND Pune at D-8, Shishir Complex, Panchavati, Pune. The first half yearly e-Newsletter presents the glimpse of the major activities of this organisation during the last quarter of 2018 as well articles from AMAND families. In addition to this, there are also some articles from Guests and invited members which are value added bonanza to the readers. This will help in making a bridge amongst the members through regular communication and high-valued information. On his special note, Chief Editor, Shri Ch, Kulabidhu Singh thanked Ms. Anju Arambam for proofreading the content and Mr. David Huirongbam for all the design works done besides their busy professional and personal activities. He also thanked all the contributors both invited as well as guest articles for accepting our request to contribute in this maiden edition. On behalf of AMAND, Dr. Narendra thanked & congratulated Shri Ch. Kulabidhu Singh, Chief Editor and his editorial team for the passion oriented dedication and making all of us feel proud by bringing out this first ever e-Newsletter of this association.